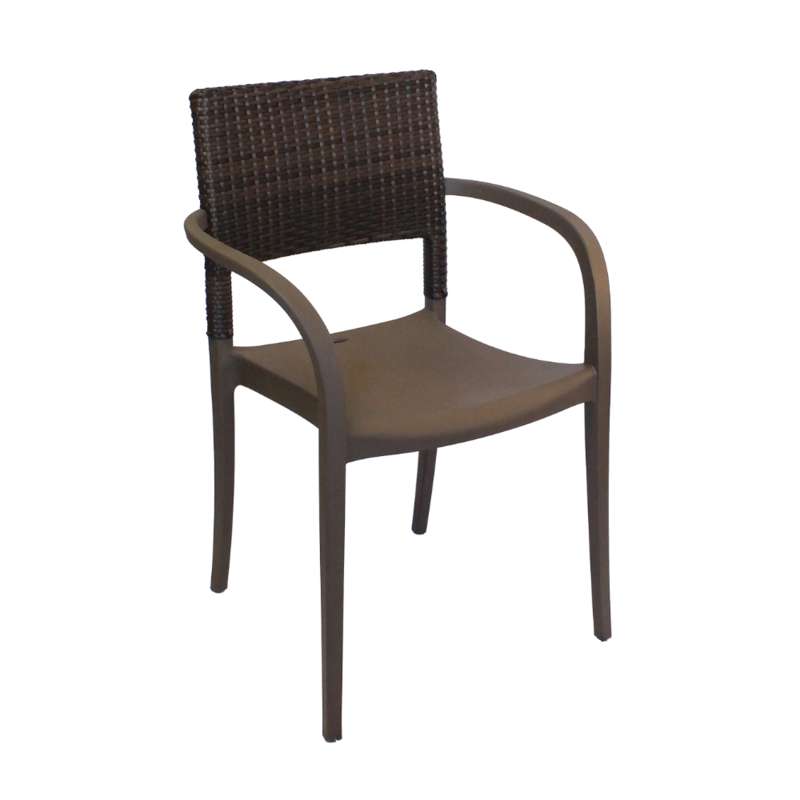 Breath new life into your hotel, cafe or hoa community with the Java Stacking Commercial Plastic Resin Dining Chair. 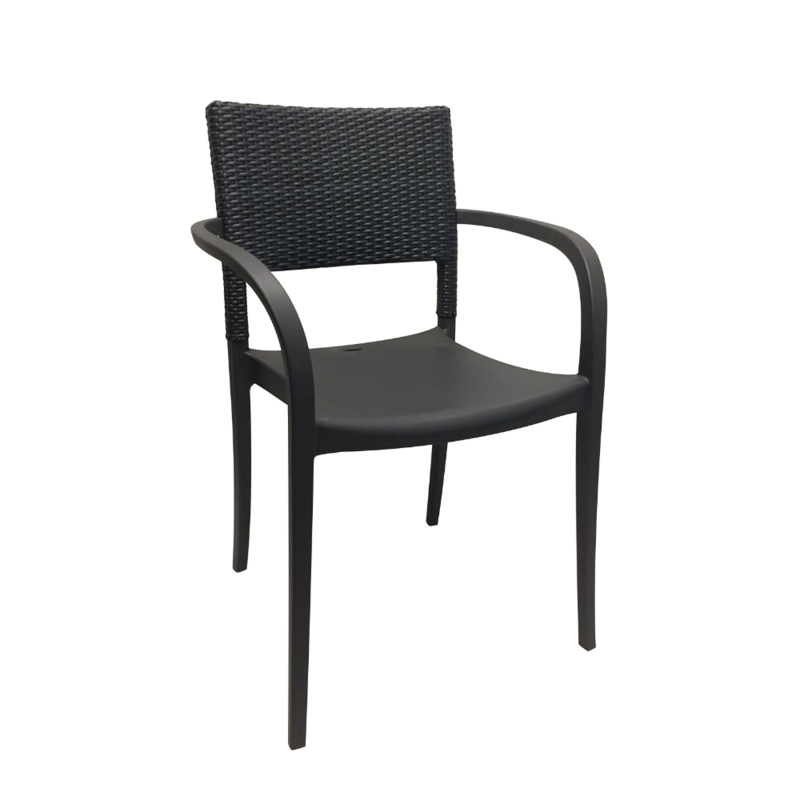 The ergonomic wicker back is sure to provide comfort to you and your patrons alike. 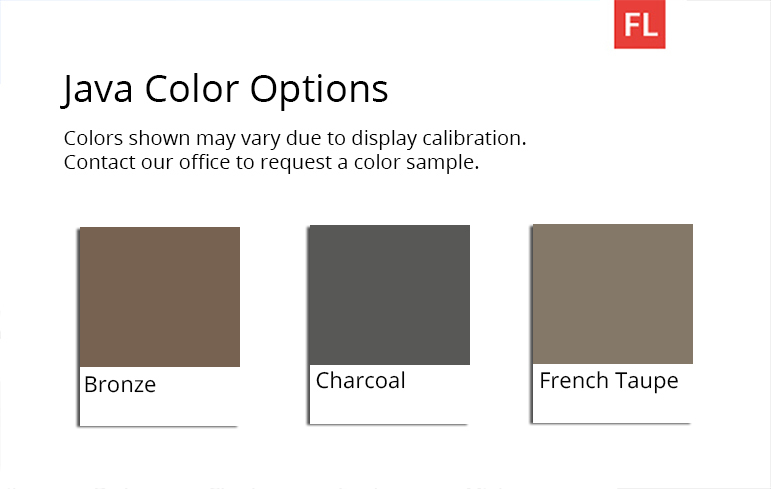 A commercial grade one-piece plastic resin frame is utilized for its durability and color choices including your choice of either bronze or charcoal. 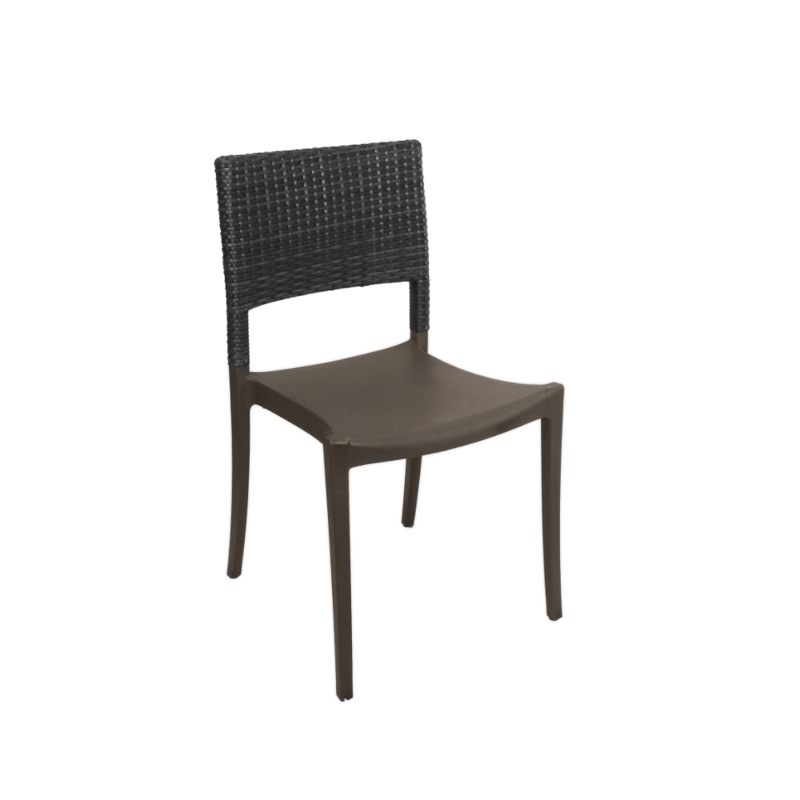 For a convenient and easy to use storage solution, each and every Java Dining Chair is stackable. Choose beetween either an armed or armless version. Our Java Stacking Commercial Plastic Resin Dining Chair comes with a 3-year commercial warranty and is made in the USA.